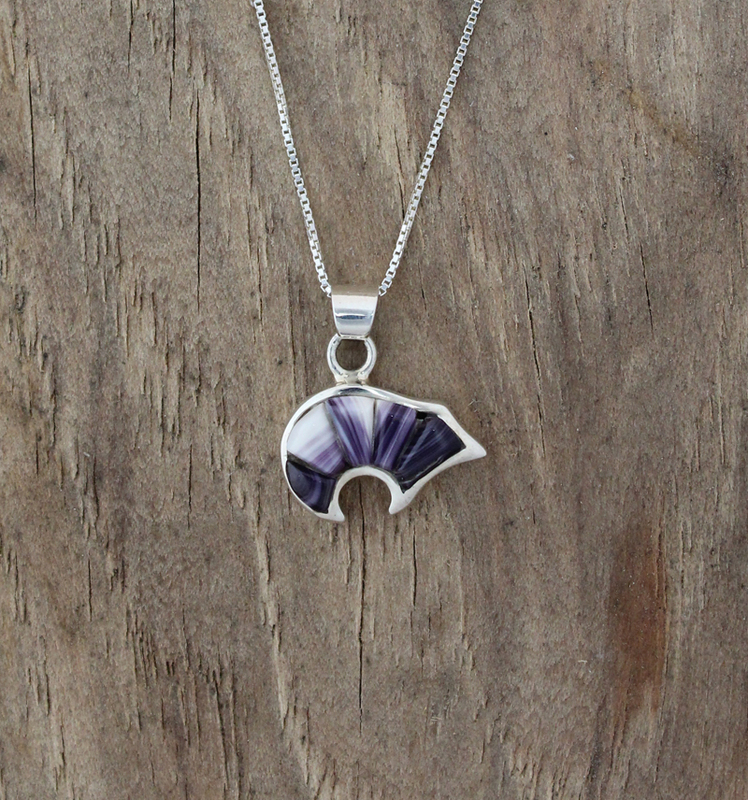 This necklace is handcrafted in our workshop with handcut Wampum in a cornrow design set in bear shape sterling silver pendant. Comes on a 16 inch sterling silver box chain. 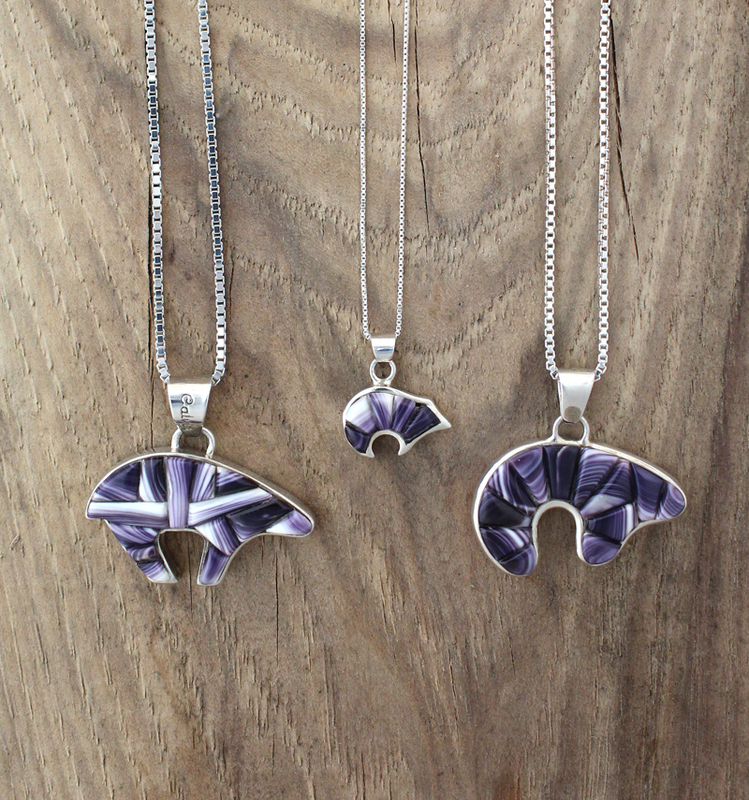 *Shown above with the Medium Reversible Bear Pendant with Wampum Inlay and the other Reversible Bear Pendant with Wampum Inlay.